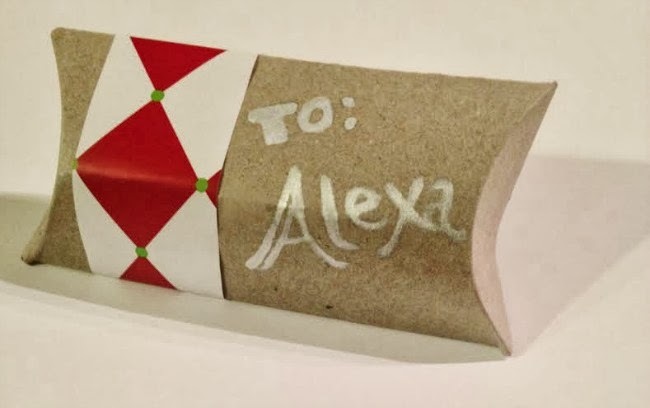 Today my dear friend Megan is sharing a fun way to wrap gifts with supplies you most likely already have in your house. I love this idea for those little trinket gifts that you don't want to get lost under the tree. 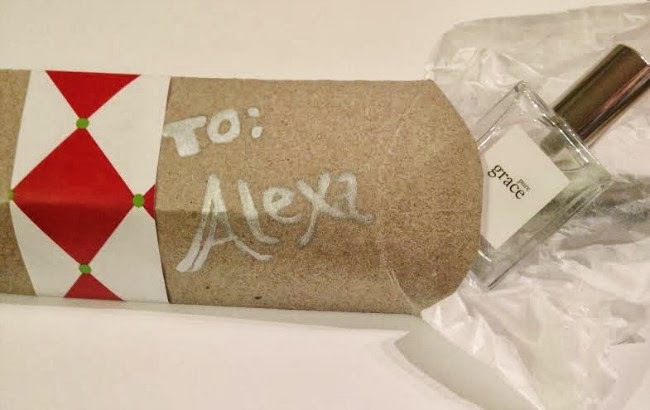 For more from Megan, see this gift she wrapped for us last year! b // cut the template out of the paper. 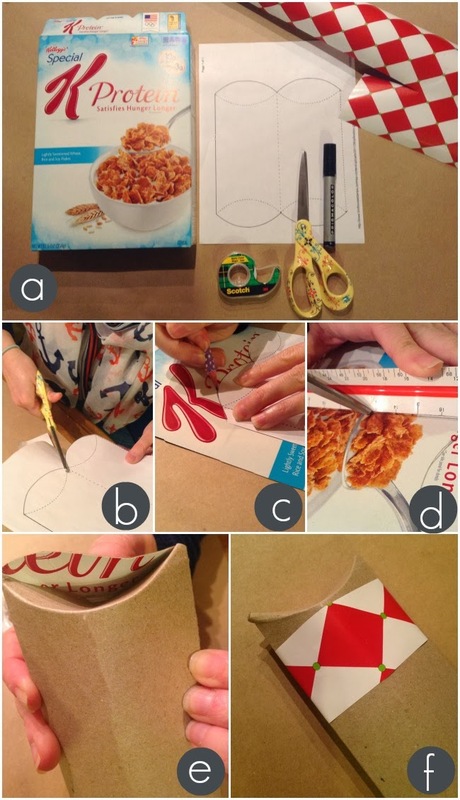 cut open your cereal box so that it lays flat. c // pattern side up, trace the template onto the box then cut it out. mark the areas that you are going to need to fold the box. d // use the scissors to score along the edges that will need folded. this will ensure that you get a clean edge. use a bit of glue to fold the box into the pillow shape. we tried this with the tape first but it did not want to hold. glue is the way to go. e // once the glue is dry, fold in the bottom flaps. 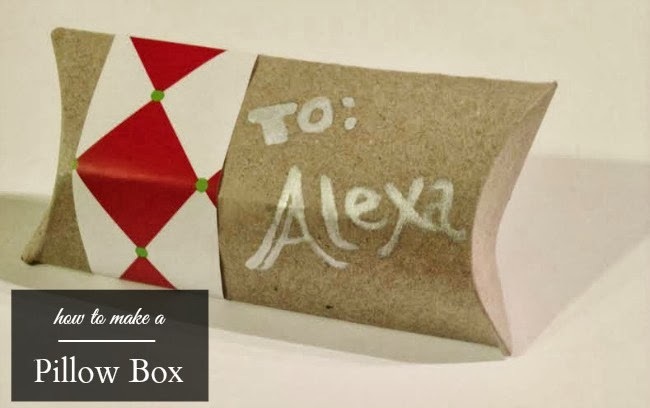 f // use a bit of scrap wrapping paper to decorate the box. this is the perfect way to use up some of those oddly sized pieces of paper.